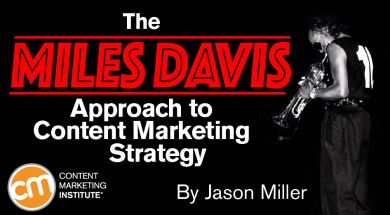 Jason Miller is the Senior Content Marketing Manager at LinkedIn, leading the content marketing and social media strategy for LinkedIn Marketing Solutions. Before LinkedIn, he was the Senior Manager, Social Media Strategy, at Marketo and spent more than 10 years at Sony Music Entertainment, developing and executing marketing campaigns around the biggest names in music. When he is not building campaigns, creating remarkable content, and tracking the ROI of social, he is winning awards as a concert photographer, singing 80's metal Karaoke, and winning at Seinfeld trivia. You can also read his #1 best-selling Amazon book Welcome to the Funnel. 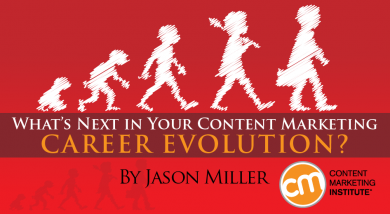 Follow Jason on Twitter @JasonMillerCA. If you’ve ever met me or seen any of my photography then you know I have a passion for rock ‘n’ roll. 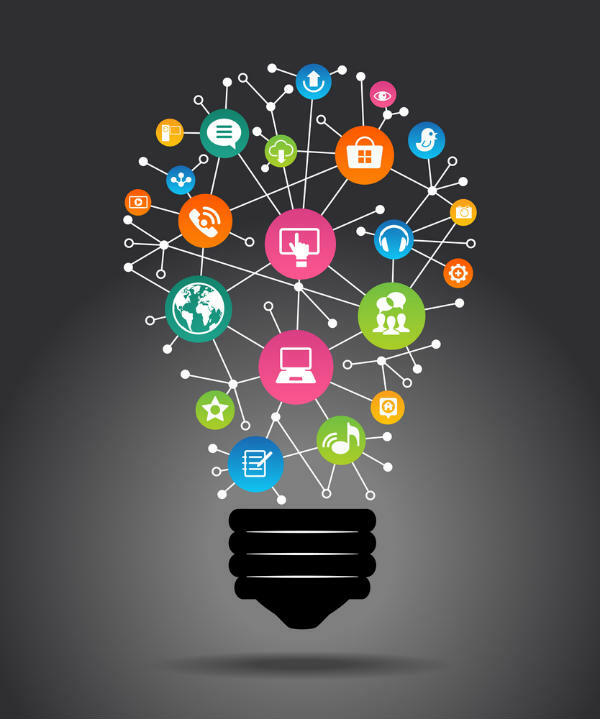 But as every good marketer knows, it’s important to continually expand your horizons. Lately, I’ve been doing that by diving into the genre of classic jazz. 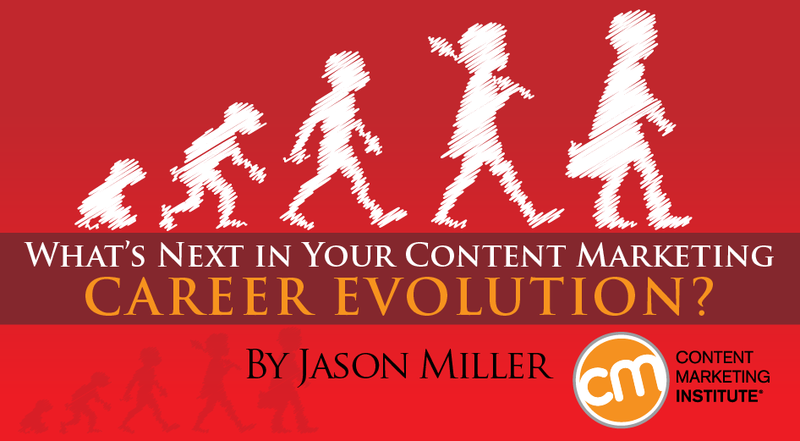 What’s Next in Your Content Marketing Career Evolution? 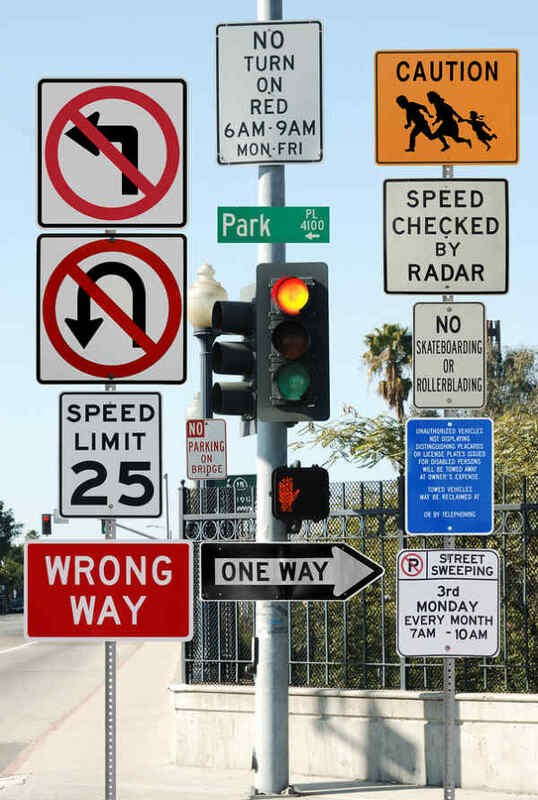 I’ve been thinking about career paths lately – partly because people are asking about mine. Beyond that – I’ve been thinking about what I’ve learned that could help other content marketers assess their own careers and figure out what the heck they’re doing with their lives. No rock star ever rose to fame after playing his first gig, and that’s not likely to happen to you after publishing your first blog post, either. So what’s the big picture? I’ve had the invaluable experience of growing up fast as a marketer alongside a marketing industry maturing just as quickly in the digital age. When I first made the move to the B2B marketing space in 2009, there was a shift happening: Social media was starting to take off. Suddenly, marketers were faced with a whole slew of new platforms and technologies we had to master to do our jobs. 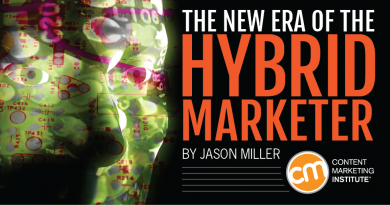 Some marketing skeptics claim that infographics are dead. I disagree. I think bad infographics are dead, and always have been. Well-designed and executed infographics, on the other hand, are not just alive — they are a thriving and essential part of any integrated content marketing strategy. Creating Content: How Much Is Too Much? Is there such a thing as having too much content? Marketo customers often ask me this question, so I thought I would pose it to a few experts to get their perspective.